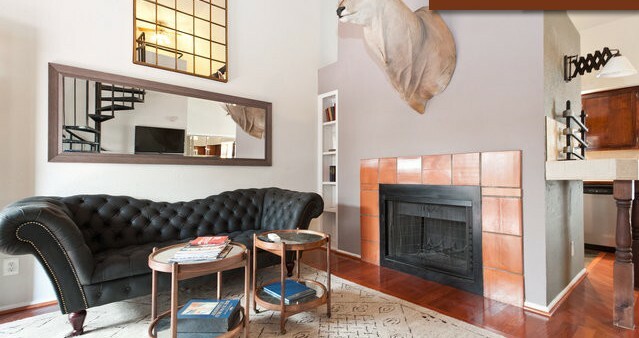 Is the Argyle Hotel The Coolest Rental on Airbnb? Is The Argyle Hotel The Coolest? I am not sure if the Argyle Hotel is the coolest vacation rental in Austin, Texas. However, I now know that it was listed in the Top 10 by Madeline Stone with Business Insider. Thank you, Madeline! I was very pleased to find out about the article when a former rental tenant spotted it and sent me the link. To view the article, please visit the Business Insider website. The Argyle Hotel is unique for a number of reasons, but the most notable is the massive Elan that is hanging on the wall. We call him Godzilla, and he is there to greet all of our guests 24 hours a day. In addition, the lofted ceilings, two-level format, plush bedding, and balcony with a view of the Frost Tower come to mind. If you need to cook, the Argyle Hotel has everything you need to prepare your favorite meal. If you prefer to order from a delivery service, we have several to choose from, including Instacart and Favor. If you have any questions about the property, or would like to make a reservation, please call 800-573-7631. We would love to host your group, and have a passion for delivering stellar experiences in Austin.